Jerron "Blind Boy" Paxton (born 1989) is an American multi-instrumentalist blues musician and vocalist from Los Angeles. 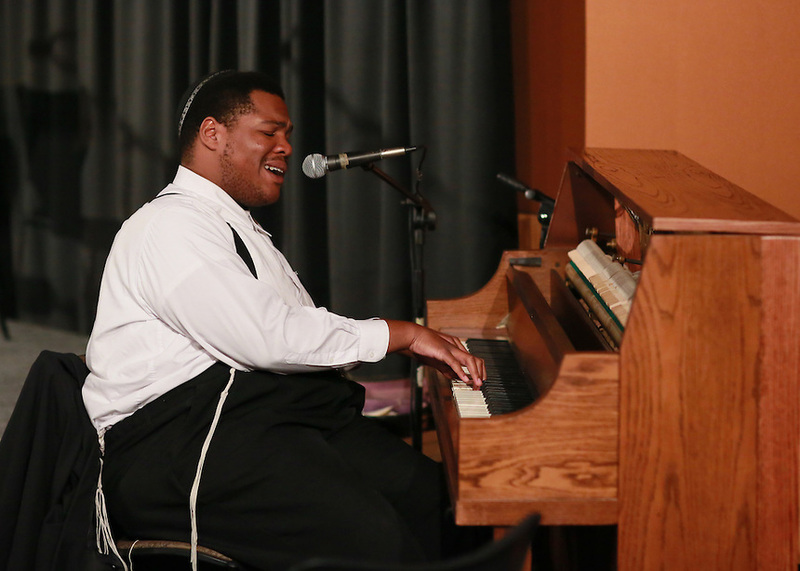 With a strong interest in blues and jazz music before World War II, Paxton's sound is influenced by the likes of Fats Waller and "Blind" Lemon Jefferson. According to Will Friedwall in the Wall Street Journal, Paxton is "virtually the only music-maker of his generation�playing guitar, banjo, piano and violin, among other implements�to fully assimilate the blues idiom of the 1920s and '30s, the blues of Bessie Smith and Lonnie Johnson." Originally from the Watts district of Los Angeles, Paxton's grandparents moved from Louisiana to California in 1956. These southern roots would have a somewhat strong influence on Paxton as a young boy. After spending time listening to his hometown blues radio station, as well as the old Cajun and country blues songs his grandmother used to sing, Paxton became interested in these early sounds, developing a breadth of knowledge pertaining to such music along the way. He began playing the fiddle at age twelve, only to pick up the banjo two years later. As a teenager, Paxton began to go blind, losing most of his eyesight by the age of sixteen. Since his childhood, Paxton has added piano, harmonica, Cajun accordion, ukulele, guitar, and the bones to his musical arsenal, although the banjo was his first serious instrument. In addition to blues and jazz, he uses these instruments to play Ragtime, Country blues, and Cajun music. In 2007, Paxton moved to upstate New York to attend college and soon after began playing gigs in and around the Brooklyn area. Although officially unsigned to a record label, Paxton continues to play Old Time, blues, and Roots Music festivals throughout the United States, as well as various shows opening for old-time string bands like The Dust Busters. Paxton is the son of one of famed blues guitarist Robert Johnson's cousins. His talent and contributions to acoustic blues has earned him comparisons to contemporary artists such as Taj Mahal, Keb' Mo', and Corey Harris] Similar to groups such as the famed Carolina Chocolate Drops, he is one of the few contemporary African American banjo players touring today. Living Blues placed Paxton on the cover of their December 2012 issue entitled "The Next Generation of the Acoustic Blues".